Did you know it takes 21 days to form a good habit? This new year, The/Nudge Foundation is inviting you to get into the habit of doing what you enjoy and keep at it for 21 days. What’s more, while your activity turns into a good habit in 21 days, you can spread more happiness around by helping raise money for the underprivileged youth to gain better education and employment. Pick a challenge and keep at it for 21 days. 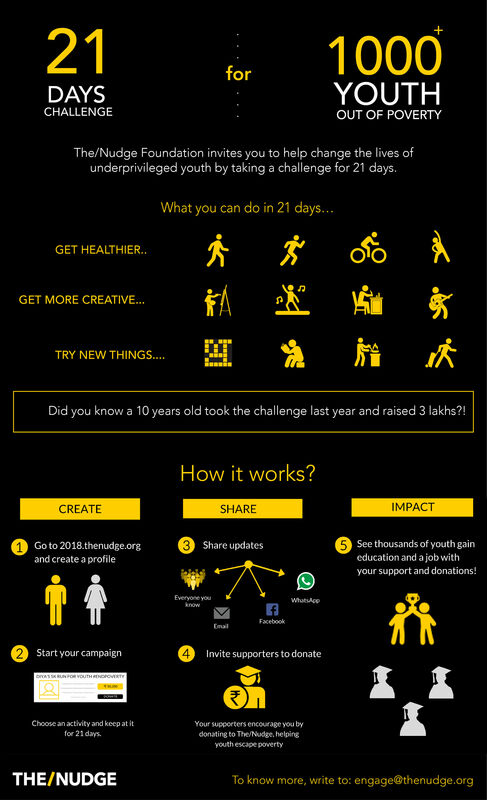 Share updates with friends and family letting them know about your challenge and the chance to donate to a good cause. Encourage your supporters to support your campaign by donating to The/Nudge on your campaign page. Together, you can help thousands of students gain education and employment through your campaign. Jyothi Bai was only 13 years old when her parents got her married. By the age of 18, she was already a mother of two. As fate would have it, her husband passed away leaving her with no money, and the responsibility of taking care of two children. For someone who had never gone to school or worked before, the future suddenly looked dark and bleak. That is when Jyothi found out about The/Nudge’s Gurukul. 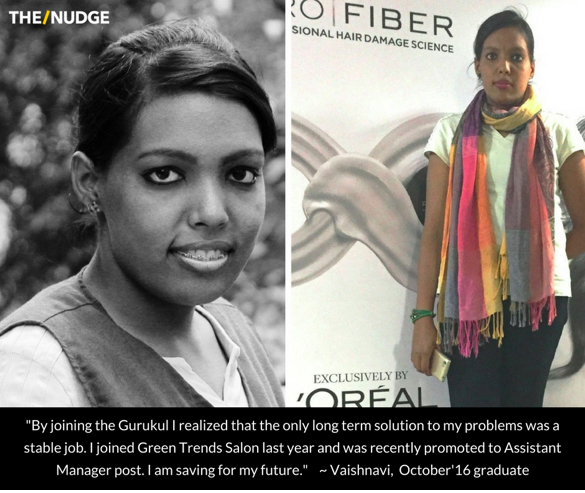 She joined our 90 days residential program for underprivileged youth and graduated as a beautician. Today, Jyothi is working in a beauty salon and sending her children to school. Every month, more than 1 million youth turn 18 in India. 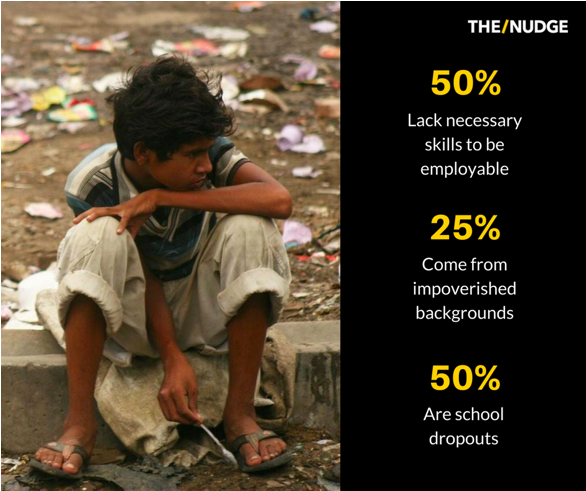 With most coming from economically weaker sections of society, India’s significant skill deficit would have been a great opportunity for them to find jobs and escape the cycle of poverty. But are they ready to join the workforce? The Gurukul program is a 90-day, intensive, rigorous, fully residential training program designed for underprivileged youth. 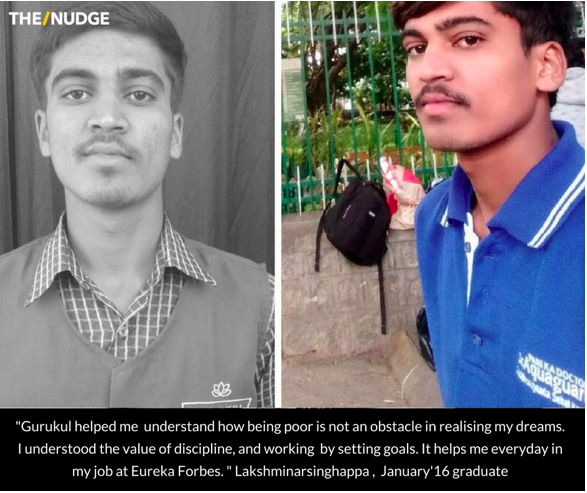 Through our residential Gurukuls, we provide high quality vocational skills for blue and gray collar jobs for both young men as well as women, and augment this with a very heavy focus on foundational learning (English, math, digital literacy) and life skills (financial literacy, health & nutrition, decision-making, communication, goal setting). 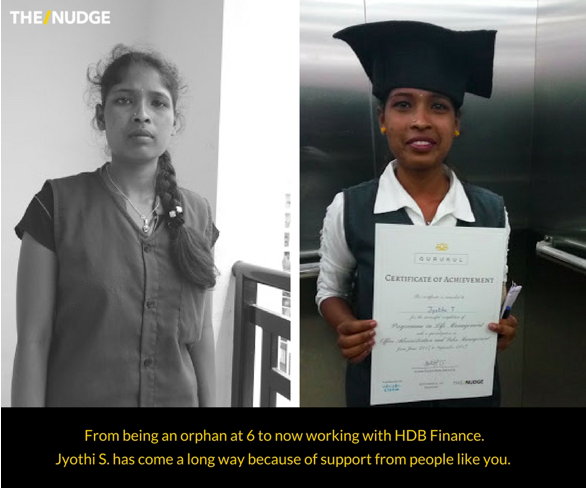 We build a strong 360-degree life, learning and economic foundations for underprivileged youth like Jyothi Bai, and help them find jobs through our deep employment linkages. To ensure that the youth are sustainably out of poverty, we provide our alumni with lifelong support in areas of career, health, and finance, so that they withstand the common life-shocks and never go back to poverty. 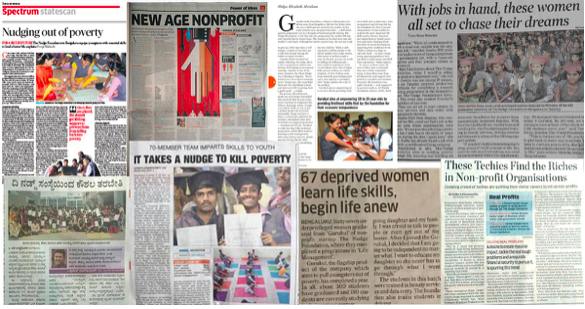 Currently, vocational skills are offered under BPO/Sales, driving, beauty, plumbing, and electrician job roles, across our 9 Gurukuls in Bangalore. While we have already graduated over ~1400 youth, we have scaled to an annual capacity of training 2000+ underprivileged youth with ~80% of youth from rural backgrounds, and > 50% being women. In 2018, we plan to reach an annual run-rate of 5000+ students.